We are extremely excited about the opening of our new premises in Trafalgar House, Battersea Reach. The property is a brand new and very modern ground floor space in a very prominent location just alongside the River Thames. Battersea Reach offers visitors easy access to the rest of London, whether you are travelling by tube, train, bus or car. To find Plus One Gallery, please follow the instructions and travel directions below. Click here to view map in more detail. Local underground stations Putney Bridge, Parsons Green and Fulham Broadway provide links to the extensive underground network. Clapham Junction station also provides a quick link to nearby Wandsworth Town railway station. 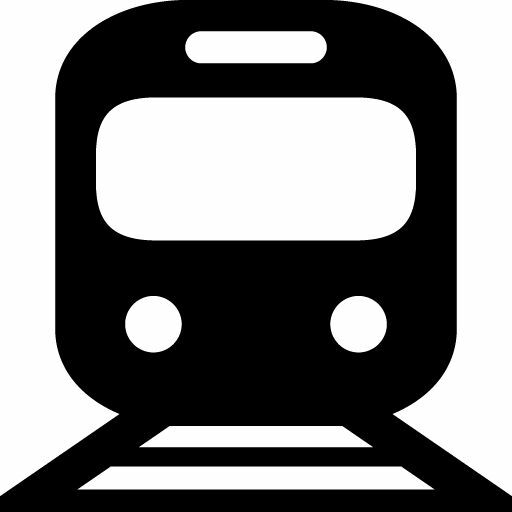 From Kings Cross – take the Victoria line to Vauxhall and change onto the Waterloo rail service. 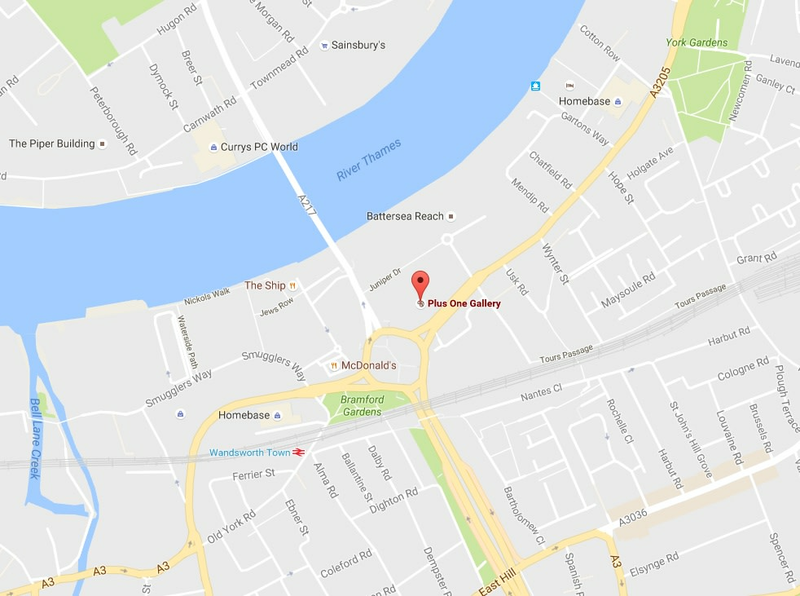 From here it’s 3 stops to Wandsworth Town station which is just a 5 minute walk to the gallery. From Oxford Circus – take the Victoria line to Vauxhall then change onto the railway for 3 stops until to reach Wandsworth Town. The gallery is a short walk from the station. From Liverpool Street – take the Central line to Bank, change onto the Waterloo & City Line. From here it’s 1 stop to Waterloo station, from where you can take any train that stops at Wandsworth Town station. Your journey should take approximately half an hour. The gallery is located close to a number of bus routes. From Fulham Broadway – buses 28, 295, 391 and C3 from Tyrawley Road take approximately 15 minutes, bus stop GE, 6 stops to bus stop TM, Bridgend Road. From Sloane Square – the 44 bus goes from Ebury Bridge Road and takes approximately 20 minutes and drops you right outside the gallery (bus stop TJ). From South Kensington – the C3 bus from Fulham Road/ Chelsea & Westminster Hospital (bus stop HK) brings you right outside the gallery (bus stop TN, Petergate) and takes approximately 13 minutes. From Knightsbridge – take the Piccadilly line 3 stops to Earl's Court, exit Earl's Court Road and take the C3 bus from bus stop A, 13 stops to bus stop TN, Petergate. The gallery is located across the main York Road on the corner of the big Wandsworth roundabout. Wandsworth Town railway station is just a 5 minute walk from the gallery. This station provides a quick link to Clapham Junction and on to Waterloo for the national rail network and other underground links. From Wandsworth Town Station – turn left out of the station and under the bridge, walk towards the main road/ roundabout and walk anti-clockwise around the roundabout. Cross over 2 roads and you will see the gallery directly in front of you. For visitors wanting to come by car, there is an underground car park situated in Battersea Reach which is located on Juniper Drive (SW18 1FY), just off York Road, providing 1000 parking spaces. There are also many parking spaces available directly opposite the gallery on Petergate, Usk Road and Eltringham Street, just off York Road (see map). If travelling via taxi, please show your driver the below map. 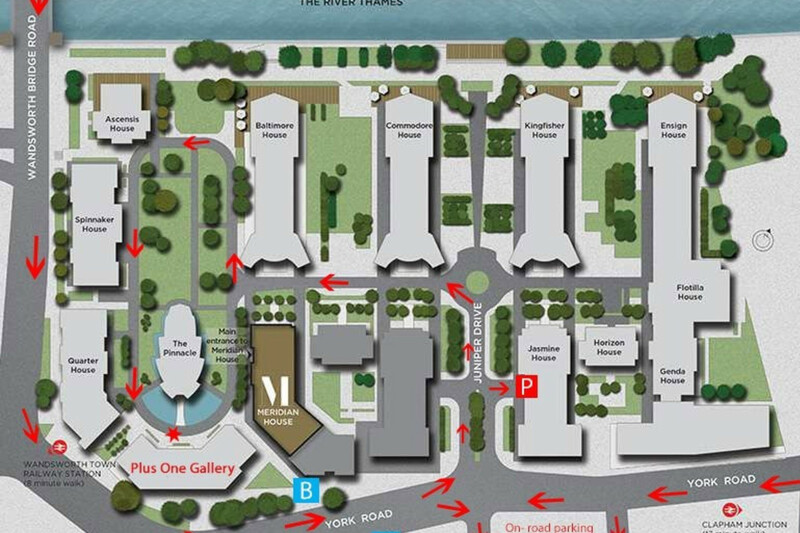 Once you turn into Juniper Drive, take the first left at the roundabout, take the first right, drive around the green and once you reach the bottom of green (behind the Pinnacle building, next to the water fountains) you are at the back entrance of the gallery. Please note, there are two bus stops outside the gallery on York Road that taxi's may pull into to drop people off.